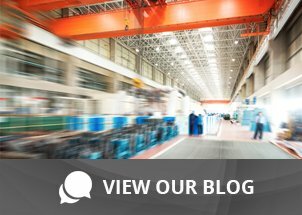 Hands-Free Scanning Just Got a Little Easier | Taylor Data Systems, Inc. If you’re looking to increase worker productivity and give your customers a better experience at the checkout, the Honeywell Solaris 7980g Area-Imaging Vertical Slot Scanner is a solution we endorse. Mobile marketing programs are also a breeze to execute when you’re using the Solaris. Mobile coupons and digital wallets on a smartphone are easily scanned with Honeywell’s aggressive scan performance technology. It enables your employees to move customers through quickly without a lot of fumbling around to get the scanner to respond. We also like the fact that the Solaris 7980g scanner offers soft-white illumination (this is not a common find in the market today) which makes it a more comfortable experience for both operators and customers. Integrates well with most POS systems. Offers onboard EAS (Electronic Article Surveillance) to help you improve profits by reducing loss. USB direct power alleviates the need for a power cord, making installation simple; it offers an auxiliary USB port for scanner connectivity as well. A capacitive touch button and intuitive LED indicators face the user for a better overall experience. Scanning bulky items is a snap with a multi-function USB port that lets you connect a handheld scanner. 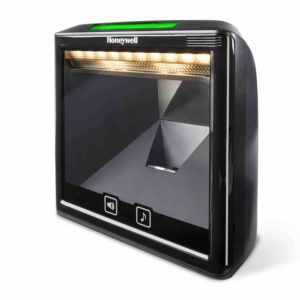 If you’re looking for a hands-free scanner for your retail environment that has a sleek, modern design, would easily fit into an existing enclosure, and won’t take up a lot of space, then consider the Honeywell 7980g.